Abacus can sync with some accounting softwares so that expenses flow into your software with the correct expense account, class, department, and other custom fields. You can sync both Team and Expense fields to your accounting fields if you use Quickbooks*, Xero, NetSuite and Intacct. If you use another accounting software, you can set up Custom Export Mapping so that the data that you need will be available in a .CSV export. You will want to map your categories to your chart of accounts on your categories page. 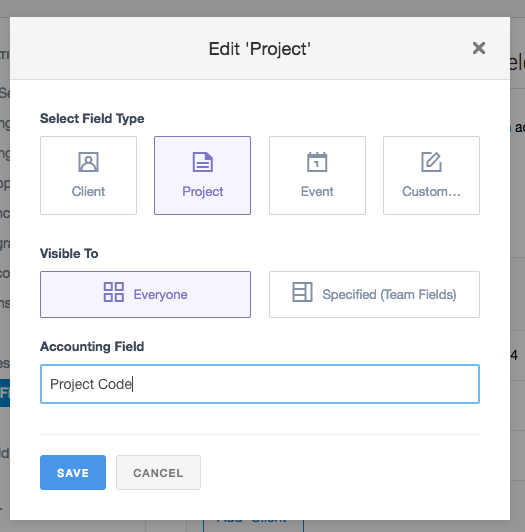 In addition to mapping Categories to your Chart of Accounts, you can create custom Team and Expense fields and map these to an additional accounting field like Class, Department, Location, etc. To associate information with an employee's profile, create a Team Field. 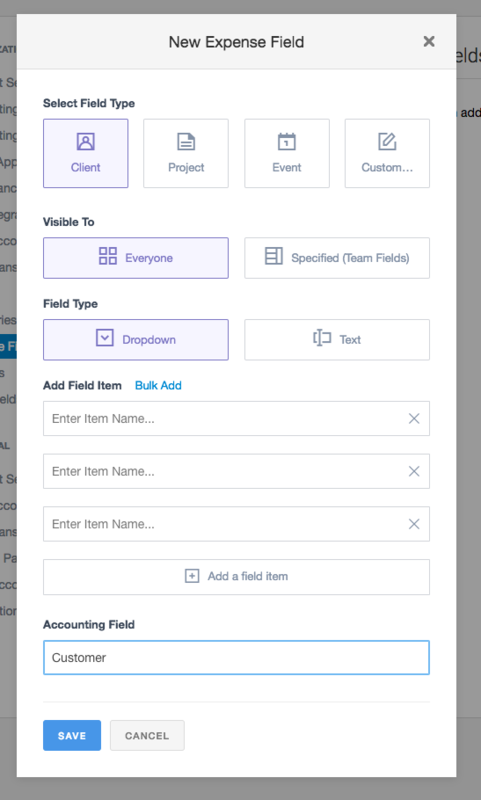 Team fields are things like Office Location, Department, Group, and Employee ID. To associate information with each expense, add an Expense Field. Examples include: Project, Event, and Client. 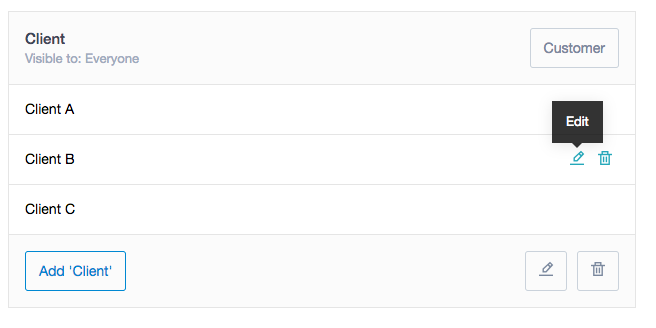 Refresh the page to view the changes you've made! That’s it! 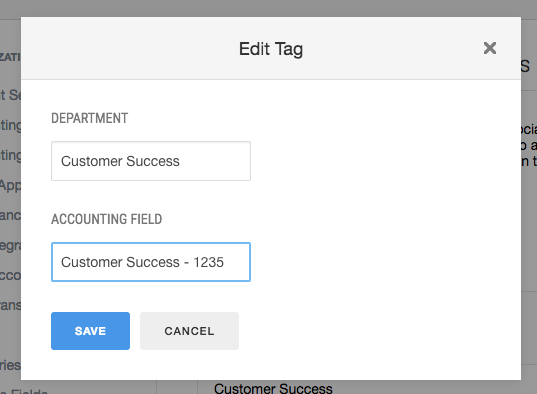 The fields you've set up with custom mapping with be available to you in the CSV export. If you've already created a custom field, great! 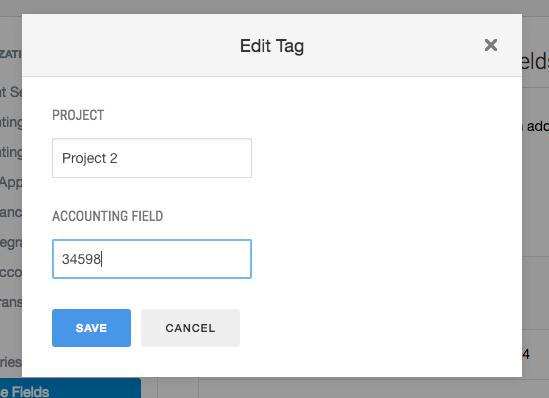 All you need to do is edit the name of the field and name the field you want to map to. 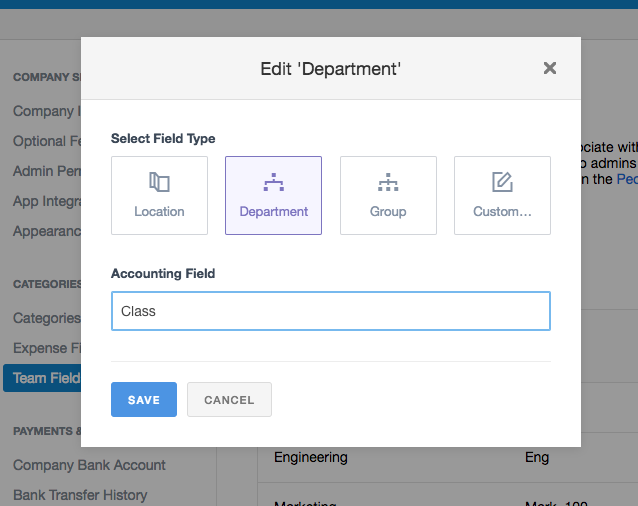 Refresh the page to see the changes to the accounting field that you've made! *In order to map QBO Classes to Abacus, you need to use, at a minimum, QBO Plus.